Call into Idaho Gov. Otters Office Friday!!! The Governor’s office is taking a poll in response to today’s Statesman Article on Non-motorized boat registration. It’s super easy. The ask a few simple questions: are you an Idaho resident, your name. The closed meeting is tomorrow 11/30. 1. We don’t use most of the services that this bill would fund. A group of rafters and kayakers, including representatives of boat manufacturers and retailers, met Thursday night to devise a battle plan against Gov. Butch Otterand#39;s idea to have non-motorized boaters pay a state registration fee. andquot;We are vehemently opposed to it, period,andquot; said Rob Lesser, a Boise kayaker and internationally known river runner. The governorand#39;s office on Friday is hosting a meeting, which is closed to the public, to discuss a registration fee for kayaks, drift boats, rafts and inflatable boats. Currently, registration fees are required in Idaho only for motorized boats of any size. andquot;We want to know what is the need (of the registration fee),andquot; said Grant Simonds, director of the Idaho Outfitters and Guides Association. Simonds said many of the boat ramps on Idaho rivers are paid for through appropriated money from the federal government. The governorand#39;s office sees the new fee as a way to have non-motorized boaters share in the cost of maintaining boat ramps and restrooms and for search and rescue programs. But Simonds said non-motorized boaters already pay fees for those same services. News of the proposal drew a flood of protest calls to the Idaho Department of Parks and Recreation headquarters Thursday. The agency handles the stateand#39;s boating programs. And an online forum at www.kayakidaho.com was packed with comments against the idea. Of the 40 online comments on the Idaho Statesmanand#39;s story about the fee Thursday, only two favored the proposal. Some non-motorized boaters Thursday were trying to organize a protest Friday near the Borah Building, complete with kayaks, canoes and rafts. Although the governorand#39;s office said the work group has no legislation drafted to create a registration fee, some kayakers and rafters donand#39;t believe it. andquot;I heard the legislation is already drawn up,andquot; said Lesser. Some people want to know if small fishing catarafts, inner tubes and small inflatable kayakers would fall under the non-motorized registration. Although no details are available, proposed legislation in 2004 called for all craft longer than 7 feet to be registered. It sank in the Legislature after a rally of protests by boaters. There have been four attempts since the 1990s to get a non-motorized boating registration fee through the Legislature. Talk of the registration fee came up again during the last legislative session, when Otter said boat owners who have to register their boats are being unfairly singled out to bear the stateand#39;s boat-related costs and that he wanted to extend the burden to drift boaters, kayakers, canoeists and rafters, including those who own inflatable rafts and kayaks. 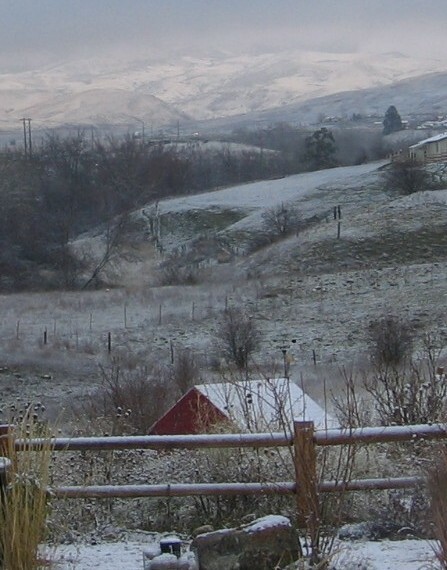 A Little Snow for Southern Idaho! 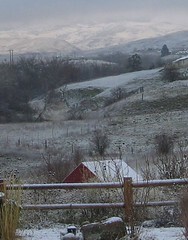 Yahoo – The Boise area finally got a little more snow Monday night. After it cleared up about 11am my wife got this shot off the front porch. We need a good snow pack this winter – the boys and I are psyched for the Bladder Wave to come in this year, so we need the Payette to hit about 10 or 11 K.
Kayaks do not use/need prepared access points. In the six years I have paddled (averaging 60 days on the river during the last 3 years) I have never used a prepared access point other than the Banks access and for that I already pay an annual fee. Kayaking is a diverse sport necessitating different kinds of kayaks for different types of paddling. 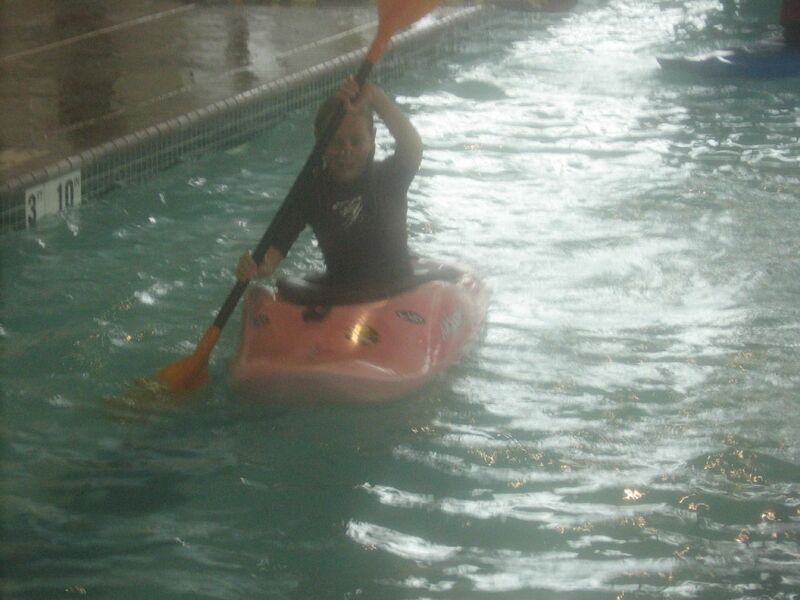 I personally own three kayaks; a creek boat, river-running kayak, and a play boat. I can not paddle more than one at a time, but my understanding is that I would be required to have each registered. My two boys also own two boats each, my two daughters one each. My wife also owns a kayak. This means my family would be forced to pay $200 each year for service I would never use. The Boise area boasts one of the largest kids paddling communities in the country. With the purchase of boats and gear to outfit each child – a lot of money is going to the retailers and back to the state in taxes. I venture to say that introducing this unnecessary tax would have an effect on the number of youngsters able to paddle and the ability of outfitters to provide kayaks for kids to learn in. We should be encouraging young people to participate in such activities and get off the couch, away from the video games and off the streets. 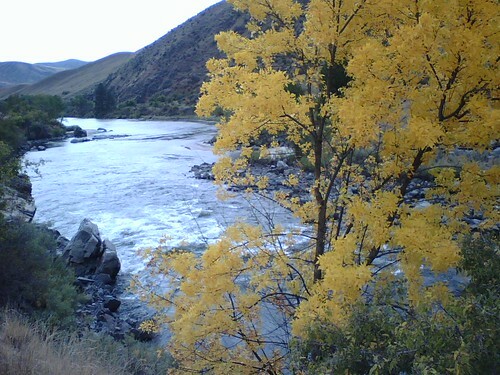 Paddlers already pay access fees in the form of parking fees (such as the Payette system) and in launch fees (such as the Middle Fork of the Salmon River). Under this bill we would be double taxed. Proceeds from Whitewater license plates go to help fund Search & Rescue departments. Rescue personnel play an important part in helping with nearby rescues and recovery operations. These departments also provide services for inner-tubers and swimmers (more often than rescuing paddlers) – are they too going to share the burden of this legislation? 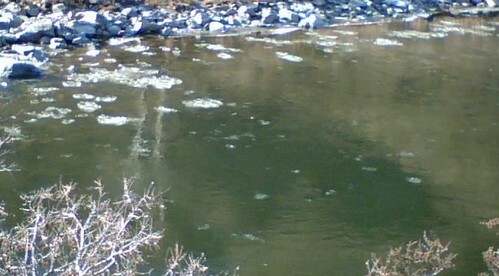 Rescue of a paddler in trouble is most often by paddlers already on the river. Most SAR (Fire Departments, etc) activity I’m familiar with involve non-paddlers. If someone is truly in trouble on the river there is no time for someone to call SAR and wait for them to arrive. Rafters and kayakers never paddle alone for that reason. 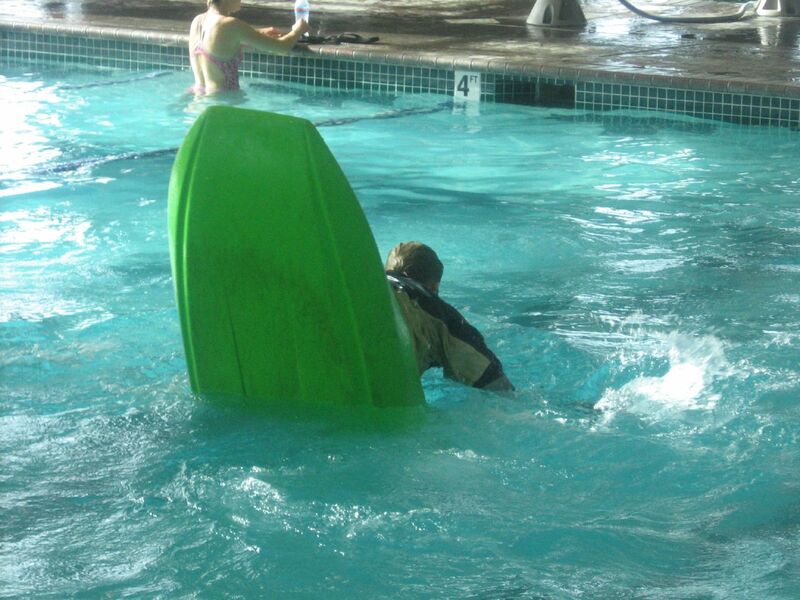 Safety and self/group rescue are an on going part of any paddler’s education. I understand that motorized boats are generally alone and the public in general is very ignorant of river safety and in need of the SAR services this bill outlines, not the paddling community. I understand that there may be a need to raise funds for large, prepared access sites, however, I feel that this legislation would unfairly place the financial burden on those not using the facilities and services. Thank you for contacting me about registering non-motorized watercraft. I appreciate the opportunity to respond. As you know, watercraft registration fees are paid only by operators of motorized vessels. It is my position all users of the waterway should pay their fair share of the costs of maintaining and improving that resource. I have concerns with the inequity of registration requirements between motorized and non-motorized watercraft. Thanks you for your comments regarding non-motorized watercraft licenses. It is very important to me to hear your concerns. Without the active participation of civic virtue of people like you the system fails. My staff member, Bob Wells, will be meeting with industry representatives to discuss possible changes to Idaho’s watercraft registration requirements. Thanks again for contacting my office. Please keep me informed of your opinions on any state government issues of concern to you. What the Governor fails to understand is that not only do we not NEED the “improvements” – we don’t even WANT them. Let’s hope our industry leaders have some heavy-hitters and can get the point across. I would suggest that users pay a fee as we do on the Payette and Salmon – if you use it, you pay each time you use it or get a yearly pass. I also think we need to flood Gov. Otter’s office with letters. His email link is HERE. Yikes! Theres Ice Out There…. I took a picture at the end of September of a nice Locust tree in yellow leaves that sits just above Climax. Also here is a picture of Joe Carberry on Climax during a nice July day a few years back. 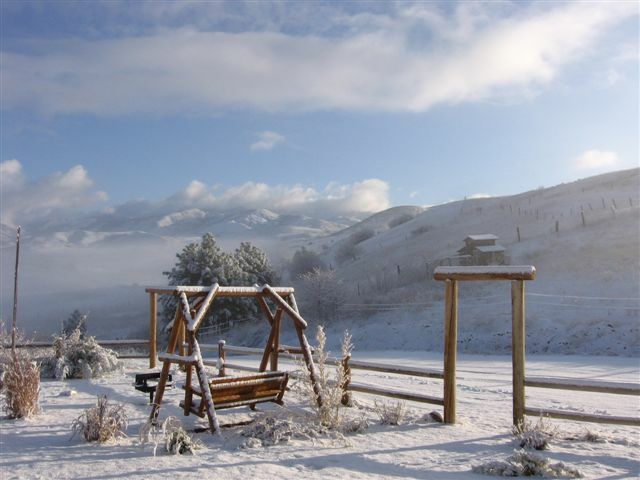 While southern Idaho has received snow in the mountains on and off during the last three weeks, yesterday was our first snow to hit the deck in the Boise area. Like so many other parts of the country, Idaho is in need of some precipitation. While we had good flows all summer, most of the local reservoirs are sitting at about 50%. The previous year they were full and the Main Payette peaked at 16,000 cfs – this last summer it topped out at just over 6,000. I hate to think what another dry winter would do to us. So run outside and do your rain/snow dance and THINK SNOW! In case you haven’t noticed, James McBeath has been adding tons of features on the WorldKayak blog site. You can add RSS feeds to your widgets, edit your CSS code, change your fonts and background – and there is more to come. Don’t have a WorldKayak blog yet? – Go HERE! We had something like 11 boats by 11am – great fun with lots of kids. Link worked with a friend of CJ’s on rolling. CJ and Brindi were really hitting rolls well! Here are a few shots from the morning. My camera had a little fog issue…. Great to see everyone!